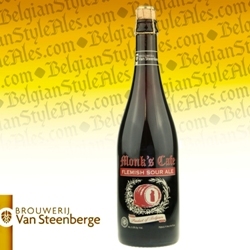 Monk's Café Flemish Sour Ale is the Van Steenberge Brewery's Bios Vlaamse Bourgogne ("Flemish Burgundy"), brewed in Belgium and bottled under private label for Monk's Café in Philadelphia. 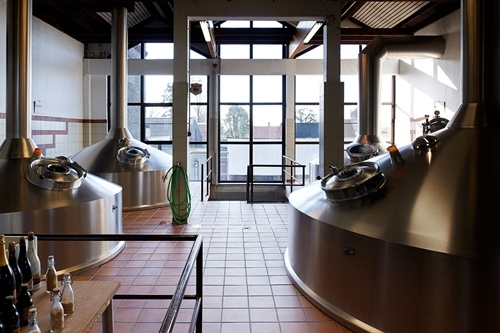 Young and old oak-aged beers are blended to make this Oud Bruin style sour ale. 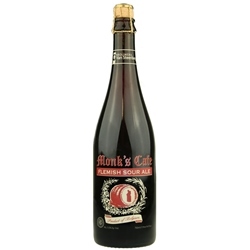 Deep brown with ruby highlights and a tan head, its aroma features notes of sour cherry and caramel; taste is balsamic and fruity and well-balanced between sweet and tart. Light in body, with a slightly drying finish and an ABV of 5.5%, it's a very refreshing example of the style.